Tandoori chicken is a classic Indian favourite. KNORR Patak's Tandoori Paste is mild but full of flavour. Adding yoghurt to the paste balances the dish perfectly. Place KNORR Patak's Tandoori Paste in a large non-metallic bowl with oil and yoghurt. Stir until combined. Cut each chicken thigh fillet into three pieces. Add to the prepared marinade and mix to coat chicken. Cover and refrigerate for 2-3 hours. Cook chicken on an oiled grill plate until cooked through and slightly charred. Combine KNORR Patak's Sweet Mango Chutney and extra yoghurt. 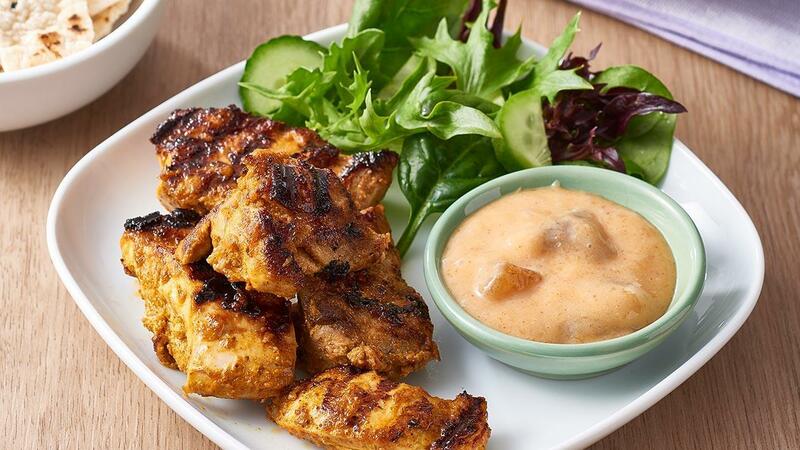 Serve the tandoori chicken with mango yoghurt dipping sauce, lemon wedges, salad or steamed vegetables and naan bread.